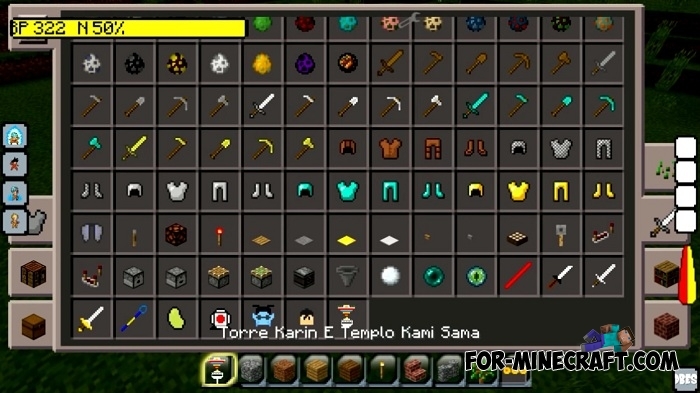 This is another mod from another creator (an alternative modification here - Dragon Block Multiverse mod). 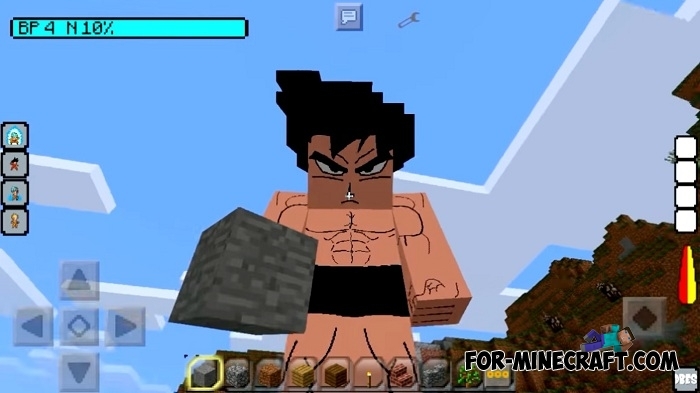 Dragon Ball is a manga known around the world with a mass of fans that is recreated in Minecraft Bedrock Edition. 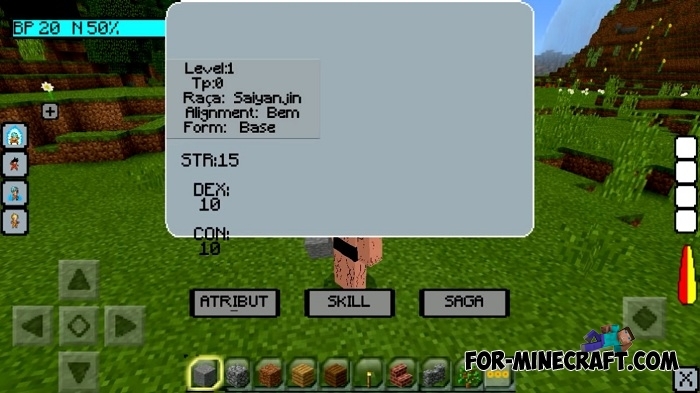 This is a full-blown BlockLauncher mod with a lot of advantages, none of addons is able to repeat this. You can turn into one of several manga characters using the buttons on the left of the screen. Each hero has a certain set of skills located in a special window. Mega jumps, super speed or unique modes, experiment. 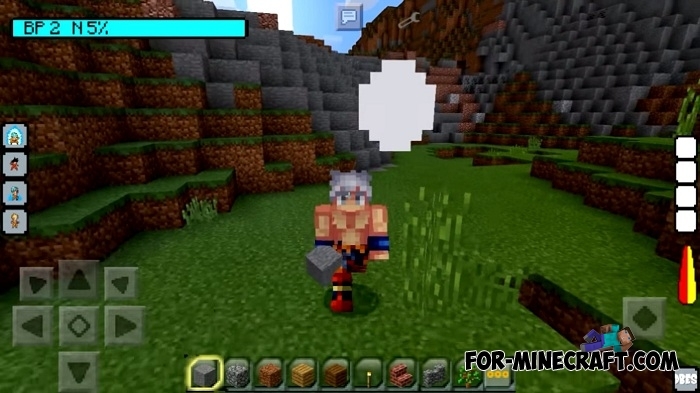 Dragon Block Evolution brings a bit of functional items, see creative inventory and test each. The dragon balls can also be obtained and used for your purposes, of course, without the fulfillment of any desires. How to install Dragon Block Evolution? 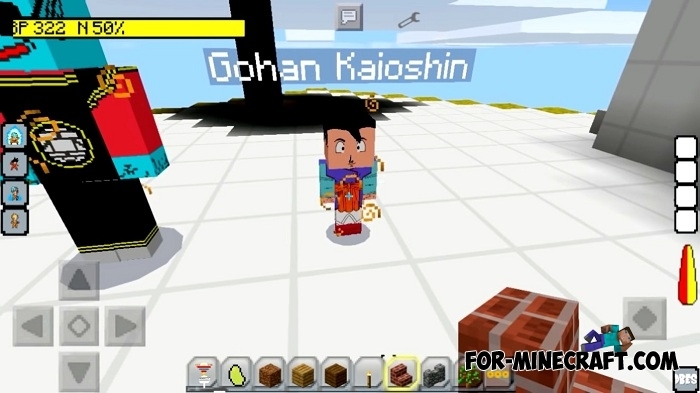 Dragon Block Multiverse mod v4.0 (Minecraft Bedrock)This is a completely different mod based on manga Dragon Ball (do not confuse with the Dragon Ball mod although they have some common features) for Minecraft PE. You can meet the main characters..